When I was in my twenties and going to job interview after job interview, undoubtedly the interviewer would ask, “What are your strengths?” I would smile and reply, “I am great at multitasking. I can juggle ten tasks at one time.” Can you remember saying the same thing? In hindsight, I realize I wasn’t pointing to my strength – I was pointing to a weakness of not being present. While there may be a time and place for multitasking, it does not always serve. Rather, our true strength lies in our ability to be present. American society is more fast paced than ever before. We have gadgets to help the gadgets and Alexa and Siri to find things out for us when our hands aren’t free. People send text messages and emails and then get frustrated when they don’t hear back immediately. How did we get here? All of these seemingly small pulls at our attention have put our sympathetic nervous system, stress levels, and adrenals on over-drive. We push through our weeks only to crash on the weekend (and hopefully stay away from the text messages and emails!). Stress shows up differently in each of us. Symptoms that stress is affecting your life include headaches, fatigue, lack of motivation, anxiety/depression, overeating, alcohol/tobacco use, and the list goes on and on. Likewise, The Mayo Clinic reports that stress that is left unchecked can lead to a host of health problems including high blood pressure, heart disease, obesity, and diabetes. More than ever, we need to learn ways to combat stress, be present, and to be still as stress is literally killing us! Meditation is a powerful tool to accomplish this, however many people think they don’t know how to or they “aren’t zen enough”. Nothing could be further from the truth! There are many styles and approaches to meditation. When you break it all down, it is no more complex than a quieting of the mind. A key concept is that there is not only one way to meditate. You do not need to sit a certain way, chant a certain mantra, or burn a million candles. The only thing you need to do is to do it! Here are some ways to get started and things to keep in mind as you incorporate a meditation practice into your everyday routine and begin to decrease stress from your life. 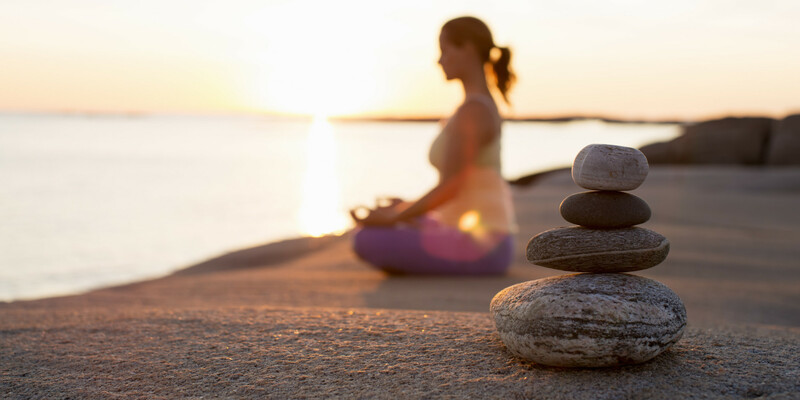 Start with 5 – 10 minutes per day to meditate. This is often the biggest hurdle for those starting into a practice – carving out the time to do it. Try thinking outside the box. You can incorporate your practice as you are on your commute (if someone else is driving) or in a taxi, on your lunch break, or split over 5 minutes twice a day. If you can only carve out 5 minutes, then do 5 minutes. An easy place to start is in the shower. Think about the water hitting your body. What does the temperature feel like? What does the water sound like? What other sounds are you hearing? What does your shampoo and soap smell like? Feel like? Focus on the act of taking your shower and there you have it – you have meditated! Some people prefer to sit on a blanket,others prefer to lay on their back, and some sit on their sofa. Your position does not matter. The key is that you find a comfortable position where you can stay still for the time you are meditating. The practice of meditation is in becoming more versed on letting thoughts pass through your mind and not getting attached to them. Worrying about comfort is a thought we can eliminate from the start by simply choosing a position that is best for you. Know that you will have thoughts during meditation. Quieting your mind is not an easy task. We are all so programmed to be go-go-go. This is why meditation is called a practice. Building your meditation practice is like building muscle. It takes both time and practice. As you begin your practice, notice that you are having thoughts and try not to get attached to them. Work towards letting thoughts float in float out easily. And be easy with yourself for having them. Compassion is key. Choose a practice to follow whether in a class or online. There are many options available on the internet for guided meditation practices as well as with groups all around the world. Having someone serve as your guide to help facilitate your practice is very helpful. Doing a group practice and hearing others’ experiences, struggles, and successes is empowering and encouraging. Likewise, having a guide in the comfort of your home (via YouTube and internet sources) eliminates schedule conflicts. There are options online for practices that range from a couple minutes to a couple of hours. Being able to choose the length of time based on your daily availability keeps you on track with your practice. Bringing meditation into your routine allows you to respond rather than react to situations. This shift will change so much in your everyday life. Your stress levels will decrease and hormone levels will begin to balance out. This wards off potential health problems and makes life more enjoyable. Remember – no matter how many times you have meditated, it is always a practice and we always have room for growth and change. If you get off track, you can always get back on. Your health depends on it! Motherhood is a paradox; it is oh-so sweet right up until it gets just plain gross. One thing all moms can agree on is that motherhood is one of life’s greatest gifts. The female body spends up to 10 months in preparation, changing both physically and chemically. Then the magical day happens. Your baby is born and everything in life shifts! New moms are aware of the sleepless nights that await them, yet many are unprepared for the physical challenges that ensue from holding or carrying an infant for several hours a day. Once your baby is born, carrying your baby moves from inside your belly to a sling, a baby carrier, or often on your hip. Not only are you carrying your baby, also the carseat, necessities inside the diaper bag, your purse – that physical demand on a new mom’s body is overwhelming! Far too often, a new mom reaches down to pick up her baby (or a toy) and instantly gets a sharp pain through her back. Even more, carrying your little one increases your muscles’ burden overworking the back, wrists, shoulders and hips which leads to pain and stiffness. Whether a new or experienced mom, add these three key self care techniques to your day to improve your body’s performance and allow for more quality time with your little ones. Many have heard that proper lifting technique includes bending at the knees so you are lifting from a squatting position. This is crucial for new mothers, especially as your baby grows and gains weight. Released during pregnancy, the hormone relaxin loosens the joints in preparation for delivery. This loosening stays with new moms several months postpartum so proper lifting of your little one is crucial. Keep your baby close to your body, use your legs to lift while keeping your back straight and engaging your core. The more you practice this technique, the more it will become a habit, even when attending to your baby in the middle of the night. Another way for moms to take care of their body involves bringing your baby to you rather than you to your baby when feeding. Whether breastfeeding or using a bottle, make sure your baby is positioned with pillows that bring him or her higher and closer to you. Likewise, use a pillow to support your arm taking the weight and pressure off of you. If you are bottle feeding, make sure you switch sides with your baby. 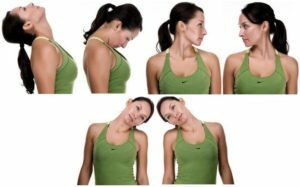 To counter the effects on your body from feeding, do several rounds of circular neck rotations taking your time to go through full rotations. Likewise, use a footstool while feeding to decrease strain on low back. This creates a feeding surface that is a few inches closer and it is in this small changes that big things happen, good or bad. A key for awareness is to feed your baby while sitting in front of a mirror. This will highlight any improvements that you could make in you and your baby’s feeding positioning. It is all too common to hear about moms having nagging back pain often showing up worse on one side. Without realizing it, many moms hold their baby solely on one side of their body. This pattern can lead to pelvic tilt and can throw off the hips and back. And it’s not just a lateral deviation; an anterior pelvic tilt and exaggerated lumbar curvature can also been seen and wreck havoc on a mom’s body. Make it a habit to switch sides if you are holding your baby on your hip. Additionally, use both arms while doing so. Start to become mindful of keeping your hips and pelvis in alignment when holding your baby and throughout your entire day. In addition to the three tips above, proper self care is a mom’s best friend. This includes proper nutrition, exercise, and rest. Every mom is different, so make sure you pay attention to your body. Holistic interventions such as massage and acupuncture can assist in overly fatigued and stressed muscles, help regulate hormones, and provide stress relief. Remember, in order to take care of your baby, you have to take care of yourself. You’ve earned it Mom! To work efficiently, the human body needs to move throughout the day. Most of us spend 8 hours (at least) a day sitting at our desks or cubicles. This creates a number of problems for the human body, some of which can be very serious. Countering these negative effects through stretching, while easy to do, can have huge impacts on your health. lead to possible digestive issues, fatigue and sluggishness, poor appetite, or edema. Likewise, the spleen is in charge of the “yi”, the intellect. Concentrating and worrying all day is taxing on the yi and spleen and further decreases it’s functioning. On another note, the ergonomic hazards of working at a desk also add up and tax the body ­ wrist pains from typing all day, decreased vision and possible headaches from staring at a computer screen, muscle pains from compression and decreased muscle activity, decreased circulation…and the list goes on. 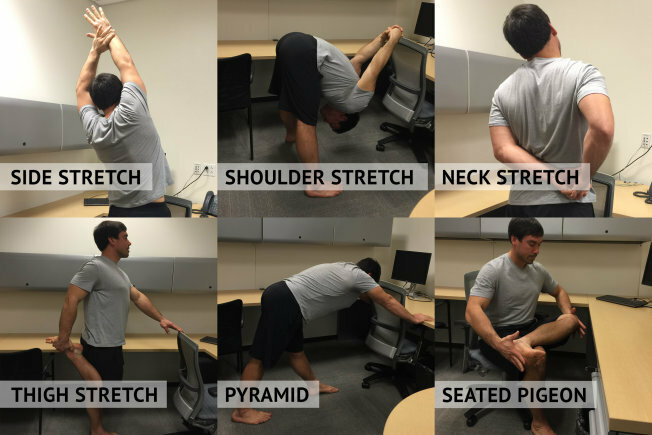 Spending time during your workday to stretch is a great way to counterbalance the necessity to sit while working. Every hour, you should spend 5 ­- 10 minutes stretching or moving. This can be something like going to the bathroom, walking to get a glass of water or focused stretching on certain muscle groups such as your neck, your wrists, low back and lower legs. Spend a 30 seconds stretching each group on each side. Another way to help combat workplace overuse and fatigue is through regular massage. Therapeutic body work can address specific muscle groups that may be over/under worked, help relieve stress and improve your overall well being. Most importantly, a very crucial part of your stretching routine at work is scheduling your stretching. When I use the word schedule, I mean it! Studies have shown that programming your day leads to a more productivity and less chance of forgetting important tasks. Stretching is one of these tasks. The long term impact on your health is immense and you don’t really need to do that much work. Remember, you wouldn’t need to schedule in stretching if you were already doing it, and, since you aren’t, schedule it! And, once you begin this small change in your daily work routine, you will notice less fatigue, better focus and greater ability to cope with stress so go on, get moving!